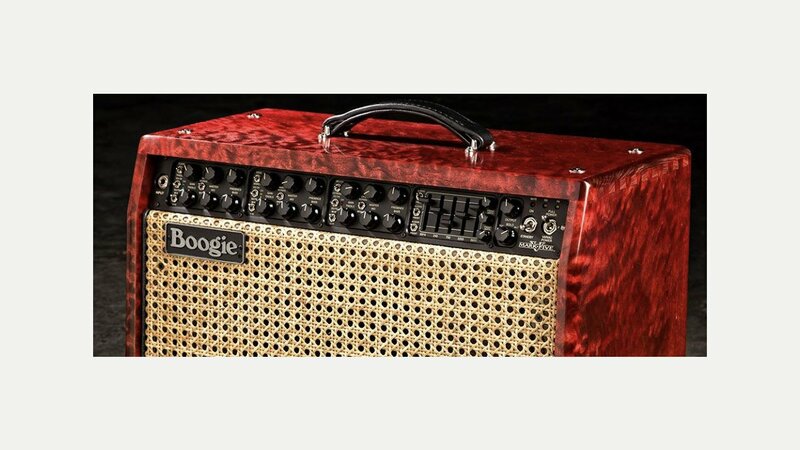 Founded in 1969 in the mountains of California by designer and tube amp guru Randall Smith, Mesa/Boogie Ltd, hand-builds high performance amplifiers for guitar and bass. Mesa is still privately owned and has been located in the same shop in Petaluma since 1980 – better known as “The Home of Tone”. Their range of amps includes the Fillmore, Rectifier, Trople Crown, Mark and Lone Star series. Randall Smith, needing to test a modified Fender Princeton, took the “hot-rodded” amp into the front store where Carlos Santana was present. Santana “wailed through that little amp until people were blocking the sidewalk”. Impressed, Santana exclaimed to Smith, “Man, that little thing really boogies!” It was this statement that brought the Boogie name to fruition. Santana used this amp on his highly acclaimed album “Abraxis” – the success of that record and that sound catapulted Mesa Engineering and the funky mountain shack to international fame overnight and the months following that release saw a flood of orders for the little Boogie amp…the giant killer. Before long, all the top touring bands of the 70’s were creating iconic hits that relied heavily upon the Boogie’s trademark voice. The Eagles, The Who, The Rolling Stones, Fleetwood Mac, The Grateful Dead, The Jefferson Airplane as well as early fusion and L.A. session guitarists like Larry Carlton, Robben Ford, Dean Parks and players like Eric Johnson and Al Di Meola were all blowing minds with their Boogies.